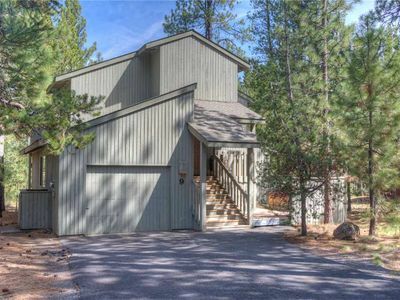 East Butte #8 is a 2 level home located near Fort Rock Park…the central area of the Sunriver Resort. 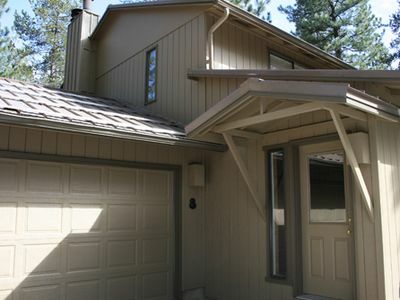 This newly remodeled vacation perfect home has 3 bedrooms and a family room…invite up to 10 family & friends! All of the bedrooms have queen beds. 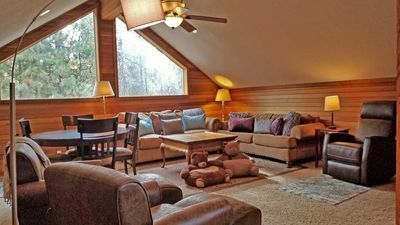 The family room upstairs has 2 twin beds with trundles and a wood stove. 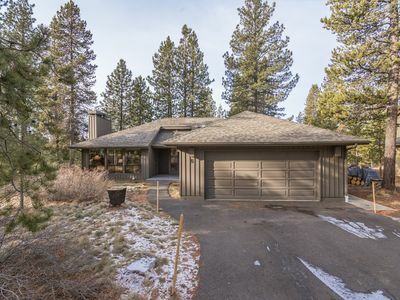 The spacious layout of this home offers a large living room with a fireplace that leads to the dining area and fully stocked, newly remodeled kitchen. 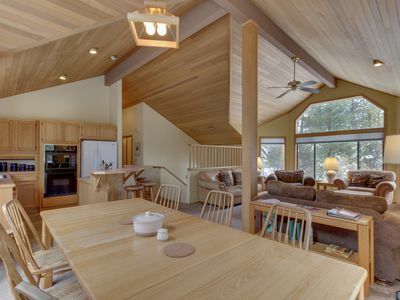 Cook up family favorite meals in the open kitchen or use the gas BBQ on the deck. 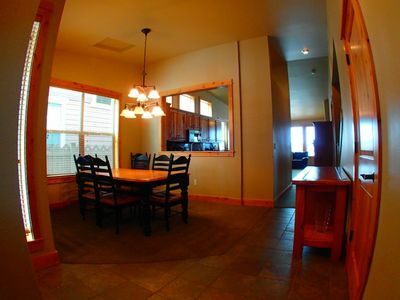 The utility room has a washer & dryer for your use. 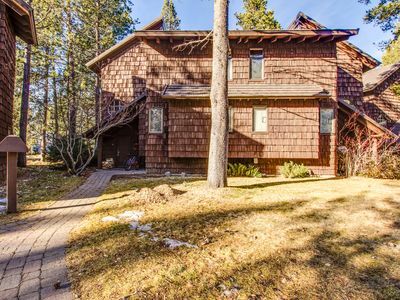 Relax in your private tub or take a hike under giant ponderosa pine trees. 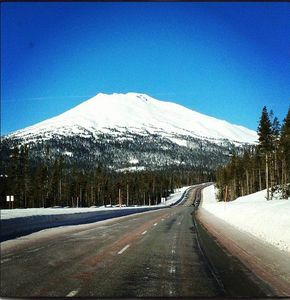 The legendary Mt. 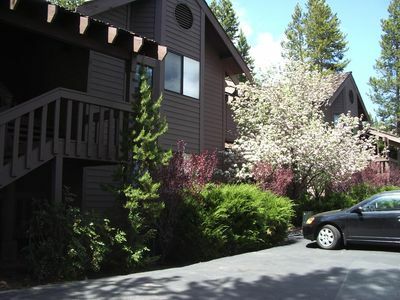 Bachelor Ski Resort is only 25 minutes away! 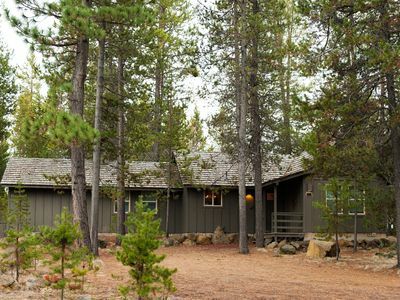 East Butte #8 offers 24 hour emergency assistance, fully stocked kitchen, free Mt. 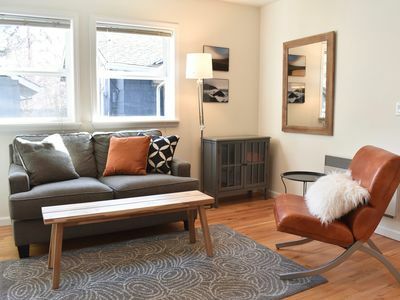 Bachelor Ski Shuttle, free high speed internet access, 8 UNLIMITED SHARC PASSES, discounts to local dining & shopping and best of all…you can be confident that you will arrive in a professionally cleaned vacation home. 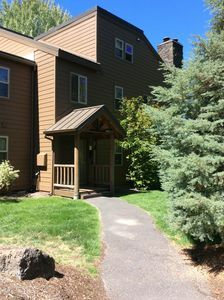 If you would like further information about this Sunriver rental or our Sunriver property management services please call. 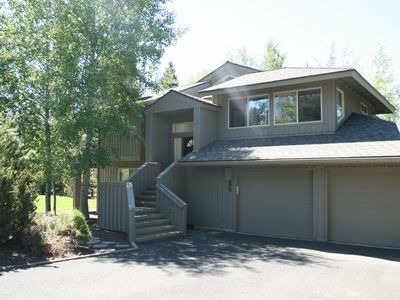 Amazing Location and Views!!!! Condo overlooking the Old Mill District/River. 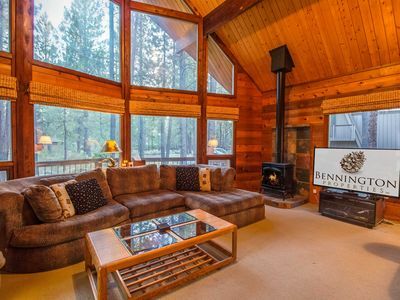 Bright lodge w/ private hot tub, SHARC passes, entertainment, near golf & ski!